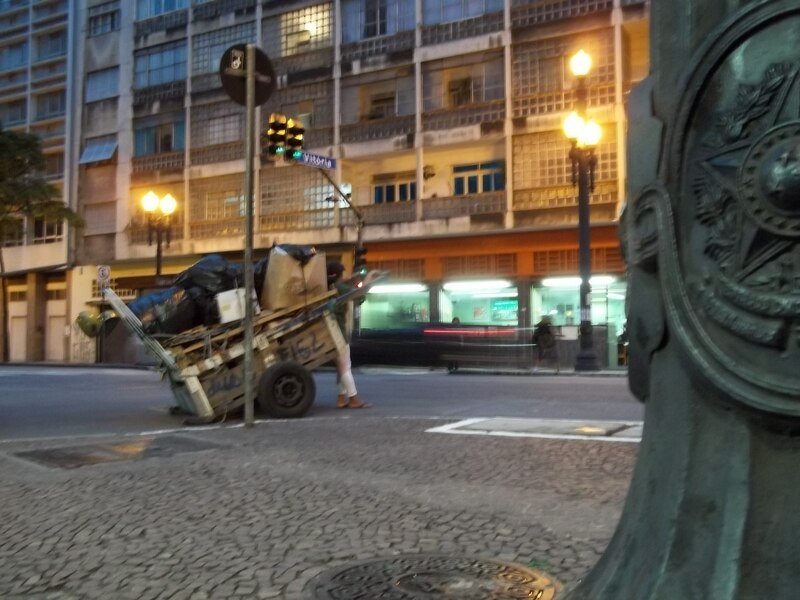 A Catador (Picker) with his handcart loaded with recyclables on the corner of Avenida São João and Rua Vitória in downtown São Paulo, Brazil. Last month I posted on how catadores–people who earn their living by picking through solid waste to glean and resell recyclables–in Brazil set a positive example of how personal thrift and conscientiousness can contribute to cleaner, more sustainable communities. The culture we live in is sleeping through its alarm. We have had one warning sign after another of of ecological disaster, but by and large we refuse to react to them. Take the first three that popped into my head for example: Every year 20 billion tons of plastic enter the ocean; in landfills, plastic can take thousands of years to reenter the food energy cycle once it has become waste; globally only about 1% of plastic is recycled every year. Of course I could go on, but you get the idea. We’re creatures of habit and slow to make changes. “The world has gotten too small for so much garbage.” Click through for the “Limpa Brasil” website. But remember in my last post I mentioned the documentary “Waste Land” (have you seen it yet?). On some level it may have provoked change that Vic Muniz, the brains and creative force behind it, may not have expected. Mr Muniz set out to raise public consciousness of the injustices and inequities that surround our consume-and-dispose culture and show how people’s lives are affected. However, fairly recently Brazil’s federal government started a new plan to engage the public in issues of solid waste called Limpa Brasil (Clean Brazil). 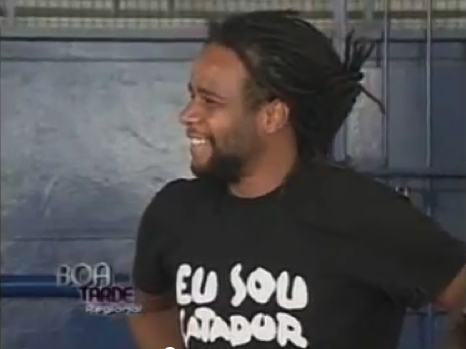 And if the choice for spokesman, Tião Santos, is any indicator, the film caught the government’s attention. Tião Santos, President of the Association of Pickers of Jardim Gramacho and protagonist of the documentary “Waste Land” was chosen as a national spokesman for the Limpa Brasil program. It’s a wonderful program with solid pedagogical roots and also in the tradition of Brazilian community sensibilities, specifically the idea of mutirão. A mutirão is a Brazilian custom of concentrated community effort with a focused goal. In English we might call this “a community service project.” Quite telling that the same concept is expressed here in a single word. Service learning is proven to increase engagement with material and therefor to help with retention and comprehension, but more importantly to solidify the lesson’s influence on the learner’s life. Of course a challenge for a the Limpa Brasil program is that the participant pool will be completely self selecting. Conscious of this, the organizers built a string grass roots sensibility into the campaign by encouraging Brazilians to spread the word among family and friends. If it were to work anywhere in the world, Brazil would be the place. 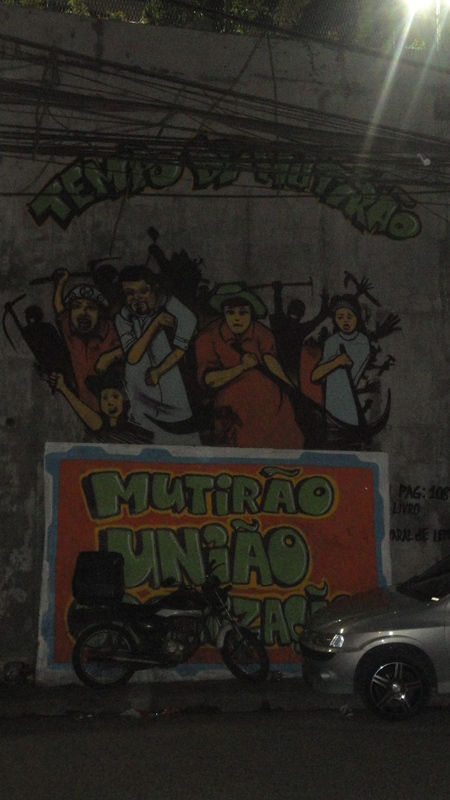 A mural in Rocinha, Rio de Janeiro reads “Time for Mutirão: Mutirão, Union, and Organization. Limpa Brasil’s manifold objectives begin with changing bad habits such as littering but go well beyond this by pairing personal habits with social and ecological outcomes. It’s wonderful to see people who have spent so long and so much effort doing such important work on the margins of society to finally be recognized and emulated. And, really, who better to represent and symbolize Limpa Brasil’s objectives than catadores themselves? Find out more about Limpa Brasil here.